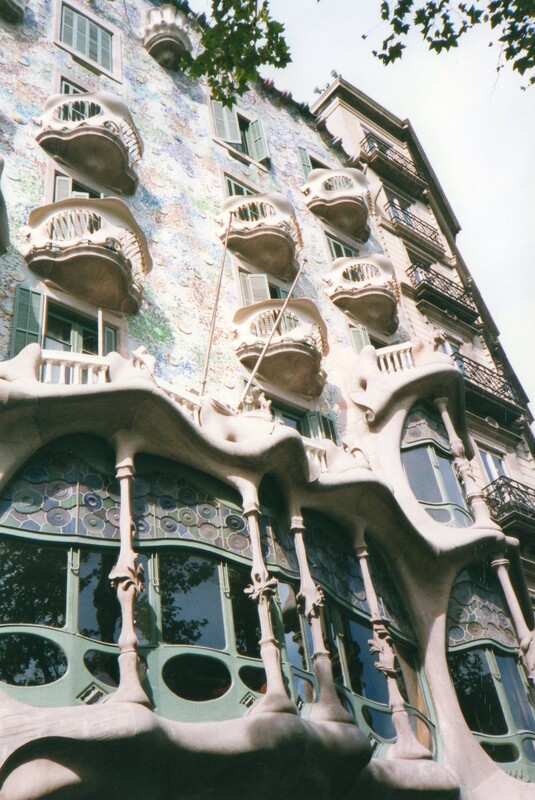 Watching again the Antonioni film The Passenger, I was surprised to see some scenes in Barcelona, especially one of Jack Nicholson and Maria Schneider in the Antoni Gaudi-designed former apartment block La Pedrera. I had remembered that the film opens in Africa, but forgotten that the narrative of Nicholson’s character adopting the identity of an arms dealer involved scenes in other parts of Europe. 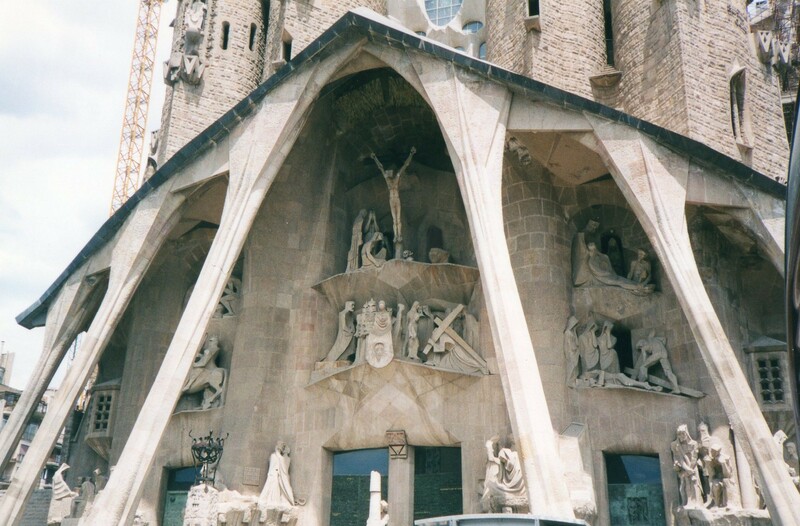 Few other well-known films show scenes in Gaudi’s Barcelona buildings. 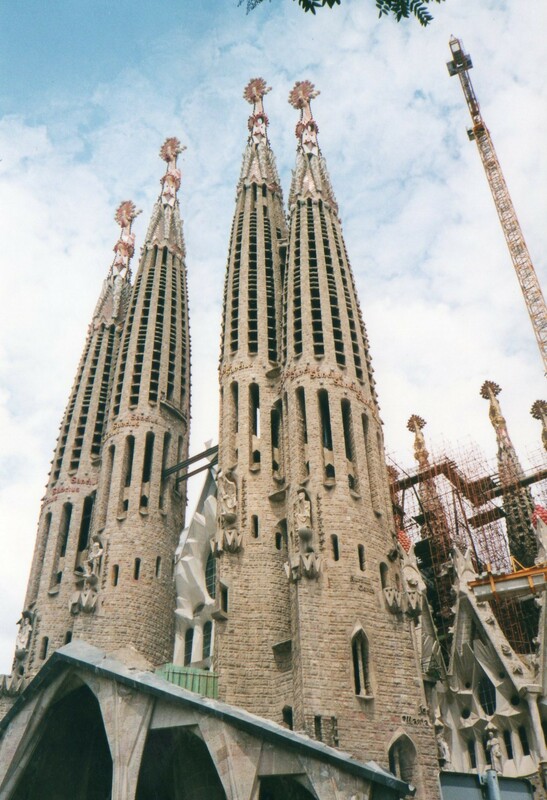 Even Woody Allen’s Vicky Christina Barcelona, which features a character who is studying Gaudi, includes only a few snippets of Parc Guell and La Sagrada Familia. So the middle of a UK winter is perhaps an appropriate time to sample the weird and wonderful shapes and colours of the Catalan magician. The facade of Gaudi’s apartment block La Pedrera, built between 1906 and 1912. 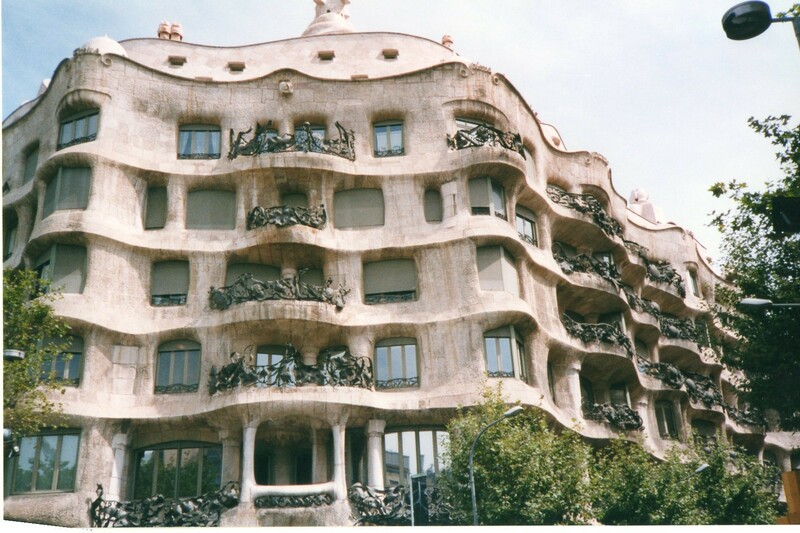 Another view of La Pedrera. 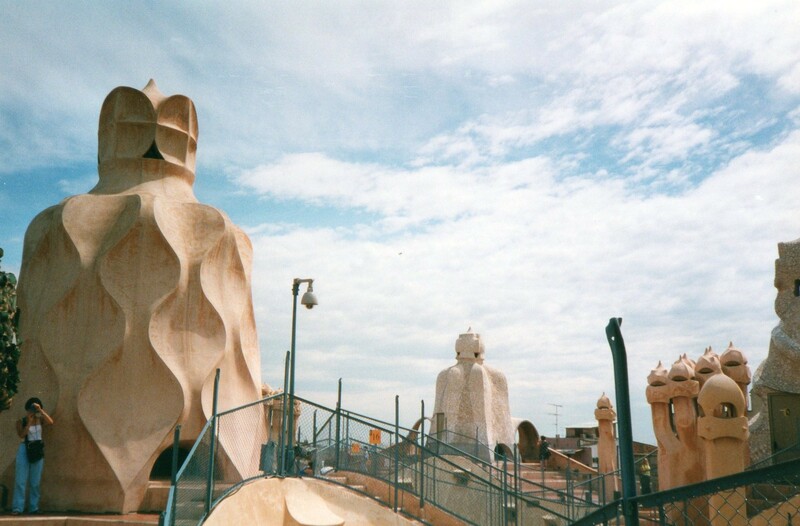 The roof of La Pedrera, with its giant chimney pots. La Sagrada Familia, the huge Gaudi church, whose construction first began in 1882 and which may be completed for the centenary of Gaudi’s death in 2026. This photograph was taken in 2002. 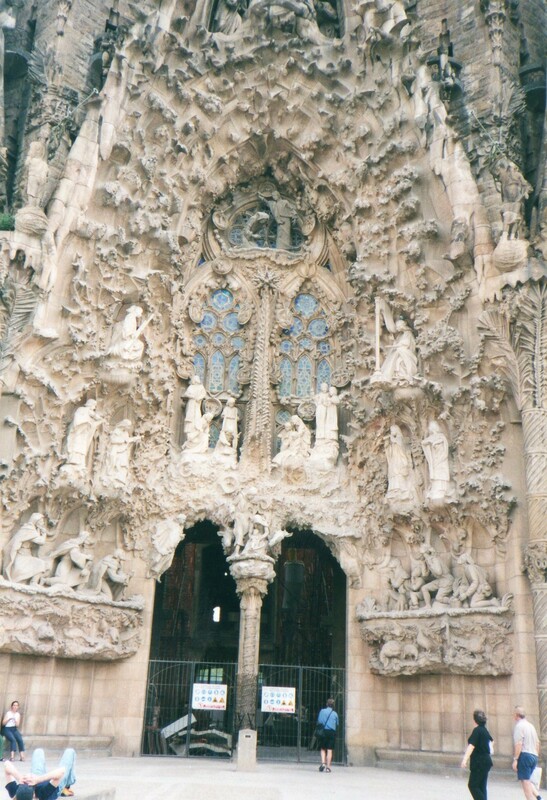 The Nativity Facade of La Sagrada Familia. The Passion Facade of La Sagrada Familia. 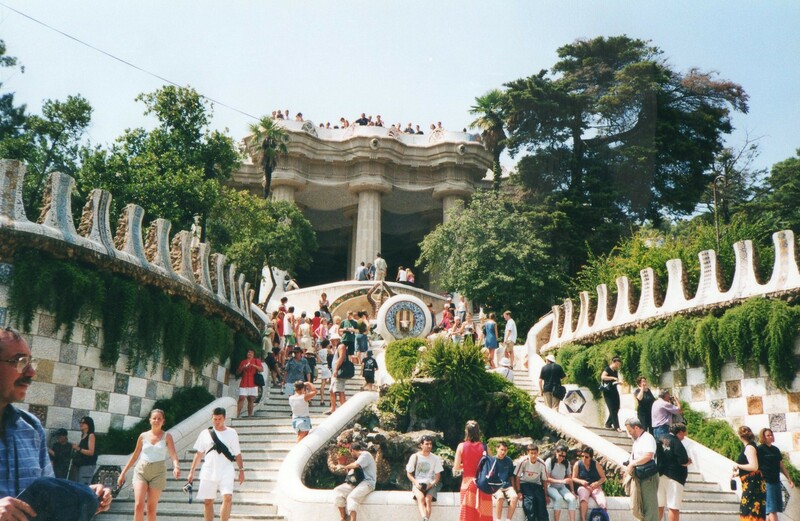 The terrace of Parc Guell, built between 1900 and 1914, and originally planned as part of a housing development.